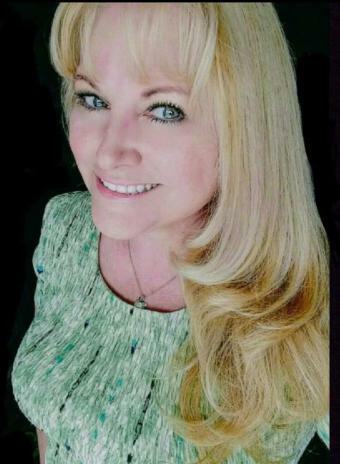 Hope Kelley, Executive Producer, Director and Writer for Hope Kelley Productions and South Texas Movies, produces upscale television programming, documentaries and feature films. Ms. Kelley has hosted, directed and produced the television program, "SA Style" in San Antonio, Texas. She was awarded the prestigious honor of directing a documentary about Project Hope and Founder, Dr. William Walsh, in Washington D.C.
As a screenwriter, several projects are currently in different stages of writing, including "Harmony, Texas” and “Time in Alaska.” She is also a talented journalist, anchor, actor, and spokeswoman who has appeared in television programs and commercials. Ms. Kelley was awarded the University Interscholastic League Scholarship in Music to the University of Texas at Austin. As a classical clarinettist, she has played in symphonic bands and orchestras. Ms. Kelley graduated from the University of Texas at Austin earning a Bachelor's Degree in Television Broadcast Journalism. She has also studied film production, directing and editing at Stanford University. She is fully bilingual in Spanish, and has produced commercials for the Hispanic worldwide market. Ms. Kelley began her broadcasting career as an Intern/Journalist for ABC in Austin, and at the Dallas ABC News Bureau at the Capitol in Austin, Texas. As a published Author, her last books, ‘The Adventures of Troy Rescuing Lily the Lamb’, ‘The Adventures of Troy the Bald Eagle’, and ‘The G Sin’, are available in all bookstores. Book 3 in the children’s book series is scheduled for release in 2019. Hope Kelley, as Director, working on location. Hope Kelley, Author of "The G Sin"
This is a story of a baby bald eagle who finds himself lost from his family during a thunderstorm. As he grows up, he learns the meaning of friendship, and never gives up hope in finding his family again one day. The Adventures of Troy is first in the Early Learners Series. Recommended for children ages 2-9, the book includes a glossary of “The 20 Words” at the back of the book that offers simple definitions of words highlighted throughout the story to help increase a young child’s vocabulary. Parents will enjoy reading this book to their toddlers. Elementary school children will love reading this heart-warming tale. 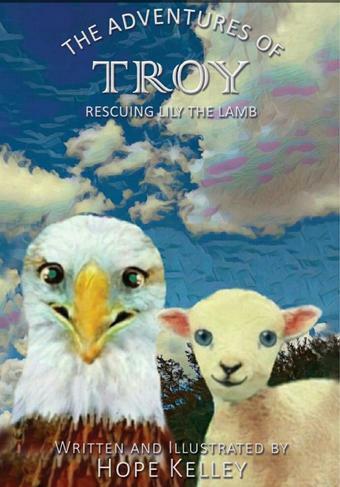 Book 2 in the Series, 'The Adventures of Troy, Rescuing Cotton the Lamb', will be released to bookstores November 2018. 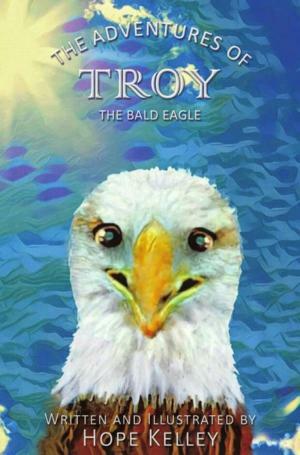 This is a story of a bald eagle named Troy who has adventures with friends on a farm where he grew up. His friends are loyal and brave, and he learns the meaning of friendship, kindness, and courage from them. The Adventures of Troy Rescuing Lily the Lamb is the second book in the Early Learners series. Recommended for children ages 2-9, the book includes a glossary of “The 20 Words” at the back of the book that offers simple definitions of words highlighted throughout the story to help increase a young child’s vocabulary. Parents will enjoy reading this book to their toddlers. Elementary school children will love reading this heart-warming tale of friendship and adventure on their own. Finally, a Pre-Diet book! 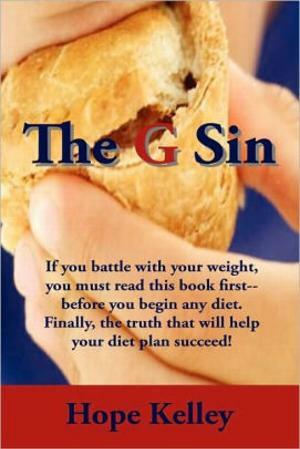 "The G Sin" offers a unique perspective about why many of us are overweight. Hope Kelley is courageous in writing about the sin of gluttony, one of the Seven Deadly Sins, and communicates honestly about this difficult topic. Many people squirm at the word, "sin", and it seems that many have forgotten that the standard dictionary definition of the word "sin" simply means, "to cause harm." The G Sin is the cornerstone piece in understanding why many people battle with weight loss. If you or someone you know is struggling with weight issues, reading this book first will help your diet plan succeed. The truth about gluttony is finally exposed! please fill out the short form on our CONTACT HKP page. We will return your email within 48 hours. Website Creation by HKP. All Rights Reserved. Copyright 1991 - 2017.